Project sets that explore science and engineering. Perfect for 3rd-5th graders. Every project aligns with specific Next Generation Science Standards (NGSS). Includes a Teacher Guide with lesson plans, discussion questions and student worksheets. Everything you need to explore scientific topics through project-based learning. 10 construction sets with high-quality materials and illustrated step-by-step instructions. Each pack serves up to 40 kids. Teacher Guide with lesson plans, discussion questions, and student worksheets. See a sample here. Online resources: an introduction video, digital downloads and more to extend the learning. 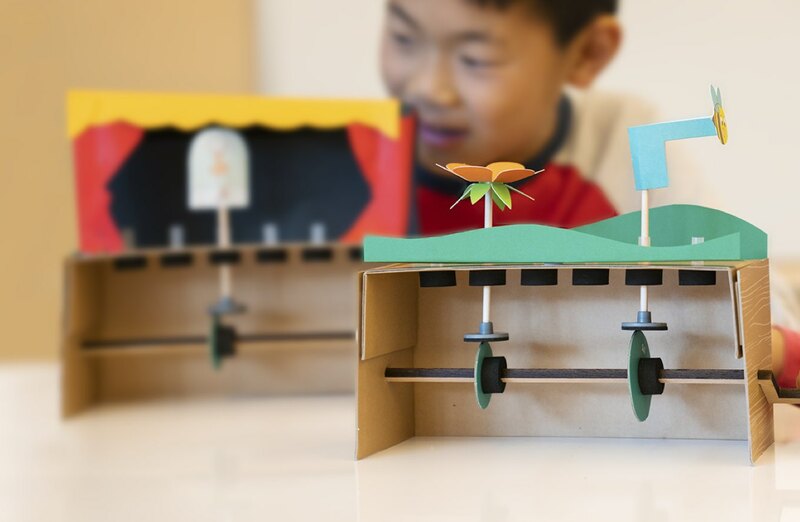 Build drawbots: moving robots that explore physics through art. Serves up to 40 students working in pairs or small groups. Project and related activities take 1.5 - 3 hours; can be completed over multiple class periods, but flexible to your group's needs. Designed for 3rd-5th grade students. Construct a robot crawler that can walk, lurch, and even haul heavy loads! Engineer an automaton, or self-operating machine, that demonstrates patterns of motion.